At my Lay Dominican meeting yesterday, we were discussing the reading of the Passion that would be taking place at Palm Sunday Mass. I talked about how there is a powerful spirital experience in having the entire parish read the parts of the crowd during the Passion Play — having to cry out for the crucifixion of Jesus. This effect is lost when you listenlisten to others reading the Passion, no matter how well it is done. In light of that conversation, I thought I would share this post, which was originally written during Holy Week of 2013. 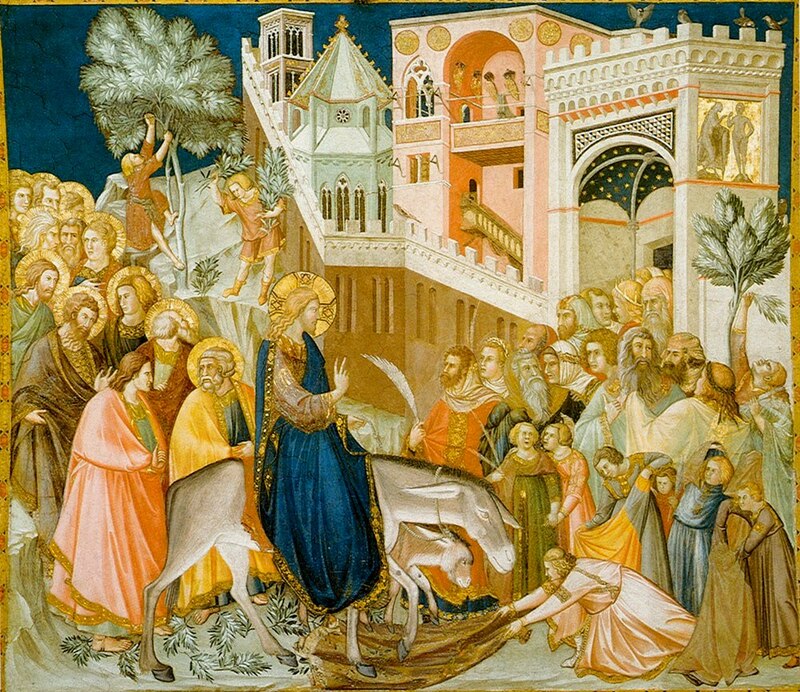 This past Sunday was Palm Sunday, sometimes also called Passion Sunday. At Mass, we read the Passion according to Saint Luke (Luke 22:14-23:56). When I was a girl, I both loved and dreaded Palm Sunday. I loved having palms, getting them blessed, and hearing the Passion read from the Gospel. But at the same time, I dreaded it; we would read the Gospel together, with Father reading the part of Jesus, a deacon reading the part of the narrator, and the rest of us – the whole parish – reading the parts of the crowd. It hurt me. But somehow, I knew that it was important, that I had something to do with what happened on that day more than 1900 years before. For years after I moved from the Jersey Shore where I grew up, I attended parishes that did not read the Palm Sunday Gospel in this way. Instead, people would be selected to assist the priests with reading the Gospel, including the crowd’s parts. Most of the parish would listen to the proclamation. As I understand it, it is optional to have everyone read the crowd’s parts, so I have just kept my missal on hand (no parish I have attended since I got married has used missalettes in the pews) and whispered “my” parts. I about jumped out of my skin. 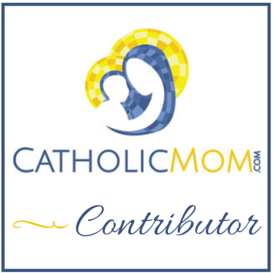 (Father told me after Mass that they were so into it, he was worriedly looking for the exit at one point.) I realized that this was the first time my 14 year old, who now sings with the choir, would be experiencing the Passion in this way. I couldn’t look at her during the Gospel, but asked her how it felt to say that, to call for the death of Jesus. “It was upsetting,” she answered. And it’s supposed to be. Father’s homily outlined why. Our new priest is a lawyer and was even a law professor before his call to the priesthood. His homilies sometimes remind me of someone wrapping up a case for a jury, and this Sunday was no exception. He has a true gift for bringing you to his conclusion in what seems round-about, but is so strongly linked that you are just left in wonder at the ease with which he got you there. “We read this Gospel and wonder when it seemed real to Jesus’ followers that this was really happening,” he began. He continued discussion key moments during the Passion when things might have sunk in. Was it when Jesus said that He was about to be betrayed? When he was arrested in the garden? 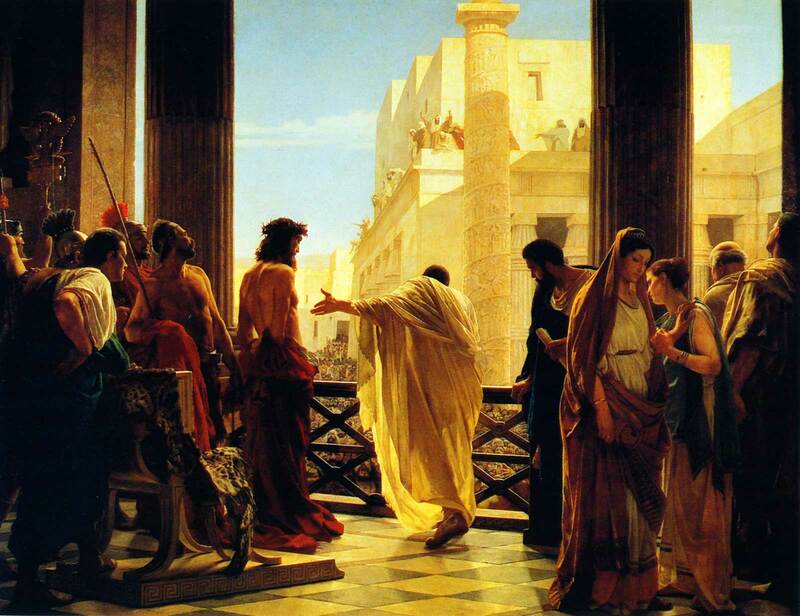 Could it have been when Pilate presented the beaten and bloody Christ to the angry crowd? Or when he washed his hands of the matter and handed him over to be crucified? Perhaps it really started to sink in when Jesus took up his cross and started His journey to Golgatha, or when He was stripped of His garments. But maybe His followers thought that even as Jesus hung from the Cross, angels might still come to His rescue. Did they finally accept that this was it when Jesus’ body was laid in the tomb? At this point, Father asked when we would realize what happened. When will we realize that the Jews and the Romans did not do this to Jesus? When would we realize that what happened to Our Blessed Lord is a direct result of our own sins? That our transgressions put the lash to the back of the Christ? When his beautifully-made film The Passion of the Christ was released, Mel Gibson said that he had a cameo in the movie. His hands are the ones that hold the hammer and nails that pierce Jesus’ hands and feet. This, he explained, was a reminder to himself that it is his own sins that caused Jesus to die. 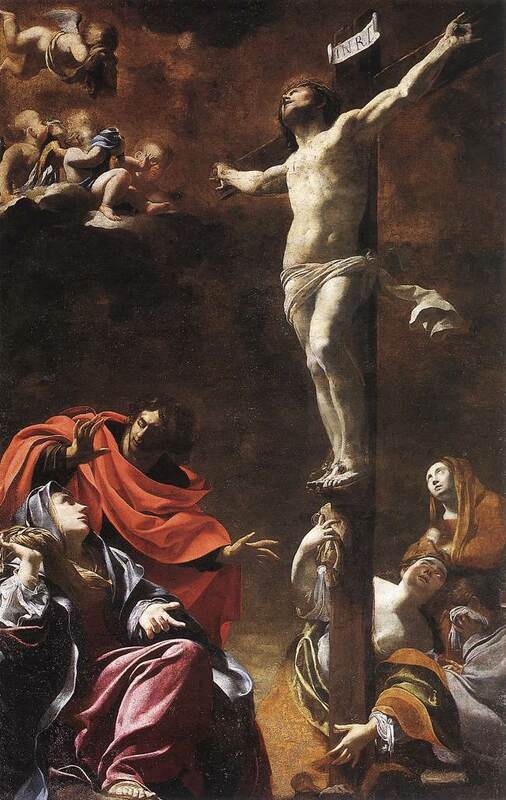 Which brings me back to the proclamation of the Gospel on Passion Sunday (and Good Friday, for we remember the Lord’s Passion in the same way that night). Even though no one ever told me in so many words when I was a child, I had this idea that I needed to say, “Crucify Him!” during the Mass. I knew, even though it made me cry (even as a very small child), that I was responsible in some way for what happened to my Beloved Jesus. No one ever told me that, and I don’t recall my CCD teachers being blunt enough to say that my sins were responsible for Jesus’ death, but I knew it. And I think that the reason I knew was because every year the people in the pews would help to proclaim the Gospel. Just once a year, and we did it just to accuse ourselves of Christ’s death.